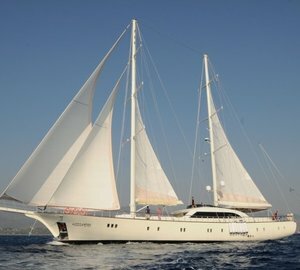 The 33.70m Umut Yillikci built sailing yacht MERMAID with launch in Turkey in 2009 and refitted in 2017, is offering a 20% discount on the weekly rate over the month of September. 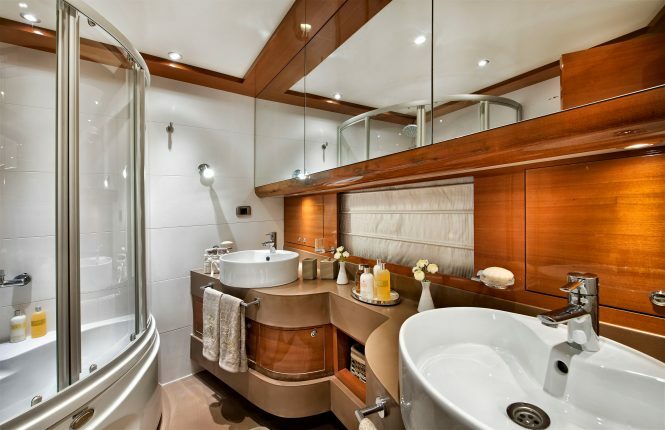 She features interior styling by Milena C Design and accommodates 10 charter guests, in 5 cabins. Her neutral toned interior décor invites a welcome and soothing atmosphere, offering soft cream and sea blue fabrics, lovely warm wood panels, which are paired elegantly with pale headlining and bespoke fixtures and fittings. The main salon is laid to an open plan, with a sumptuous lounge aft and formal dining forward. Surrounding panoramic windows showcase the stunning vistas and allow for plenty of natural light. 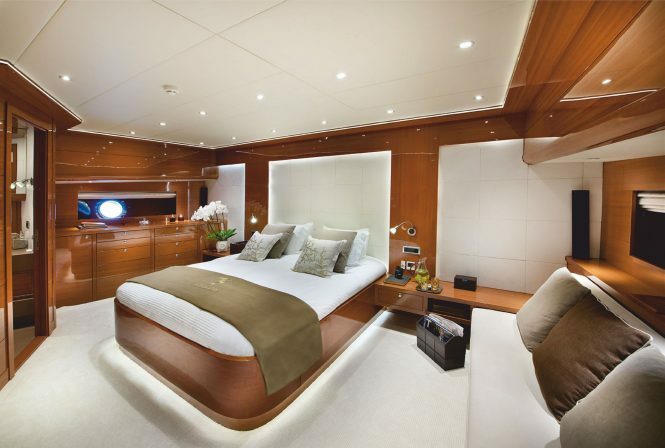 S/Y MERMAID boasts ample exterior living, on 2 decks. A shaded aft deck has alfresco dining and seating, while the foredeck features numerous sunpads and built-in seating. 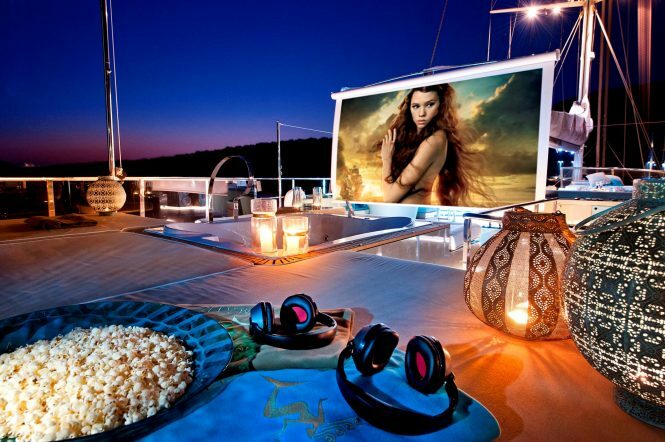 Her sundeck is sure to please the most discerning of charter guests, offering a large sunpad in a raised position, deluxe Jacuzzi, alfresco dining, wet bar, outdoor lounge arrangement and even, an exterior cinema by night. 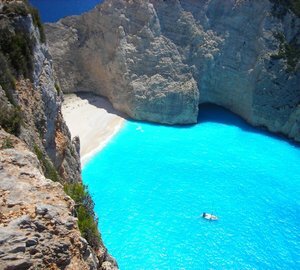 Accommodation aboard is on the lower deck, comprising a master stateroom forward and full beam of the yacht, 3 double and 1 twin cabin. 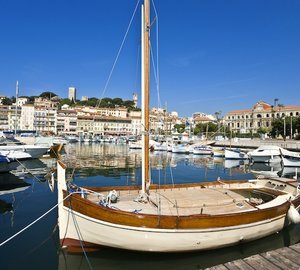 When not under sail, she is powered by twin John Deere 450hp engines, with speeds of 10 – 11 knots. 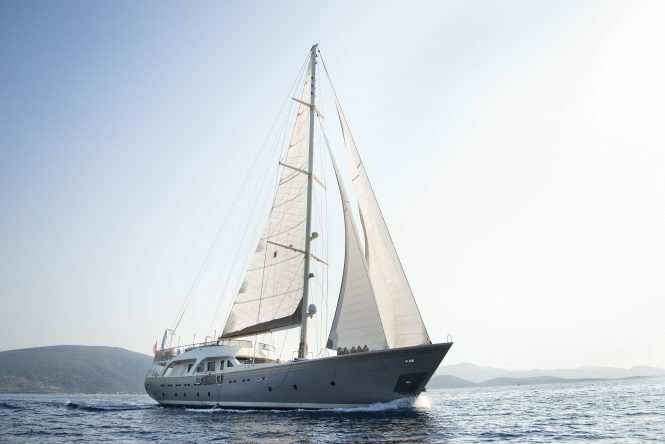 Please contact CharterWorld - the luxury yacht charter specialist - for more on superyacht news item "Charter Offer: Yacht Marmaid with 20% Discount in Turkey".